Since opening in 1980, Ottem Electronics, Inc. has been your trusted family owned and operated local source for home security system installation and monitoring in the Greeley area. Give us a call today to learn what we can do for your home or business. When was the last time you updated your residential or commercial security system in Greeley, CO? If it’s been a while, now is a great time to keep your home or business safe and comfortable with one of the many services Ottem Electronics, Inc. has to offer, including fire and security alarm systems, door access panels and infrared and motion detection. We’re able to help with all of your home electronic needs, and your security is our number one concern, which is why we commit ourselves to prompt, reliable and quality service. We strive to provide the best solutions in helping you protect your property. We are a locally owned and operated small business in Greeley, CO.
We’ve been serving the greater Greeley area since 1980, meaning we have 35 years of experience. 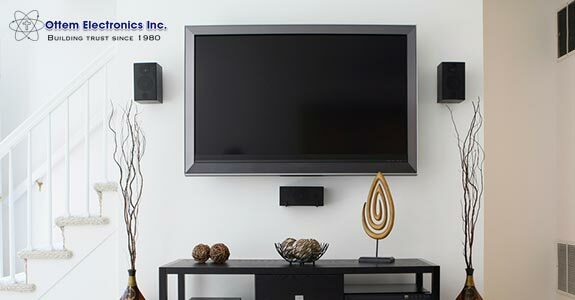 We can provide a wide range of security and home theater services.